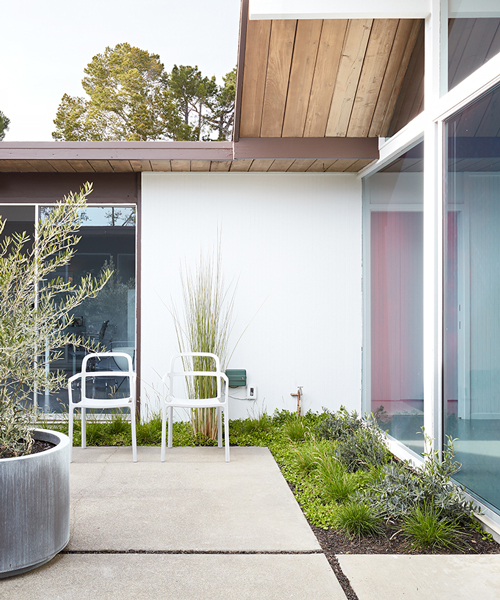 klopf architecture and jesse ososki art remodel an existing eichler atrium home in burlingame, california. 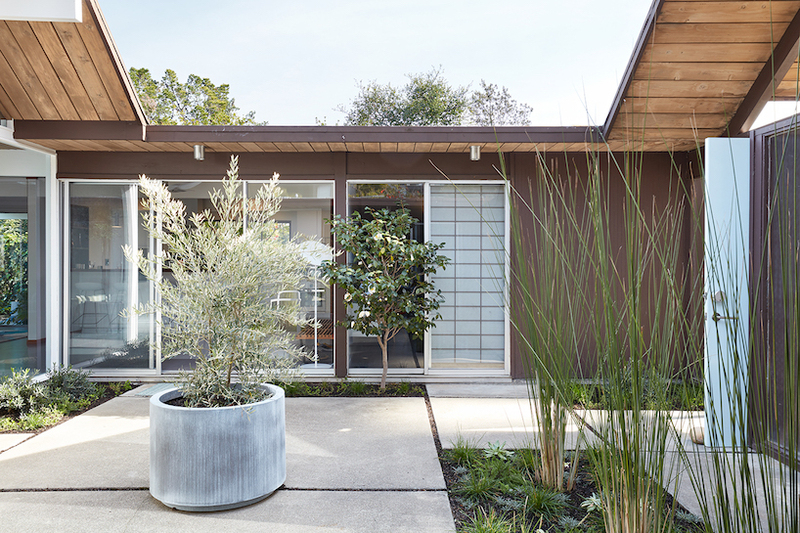 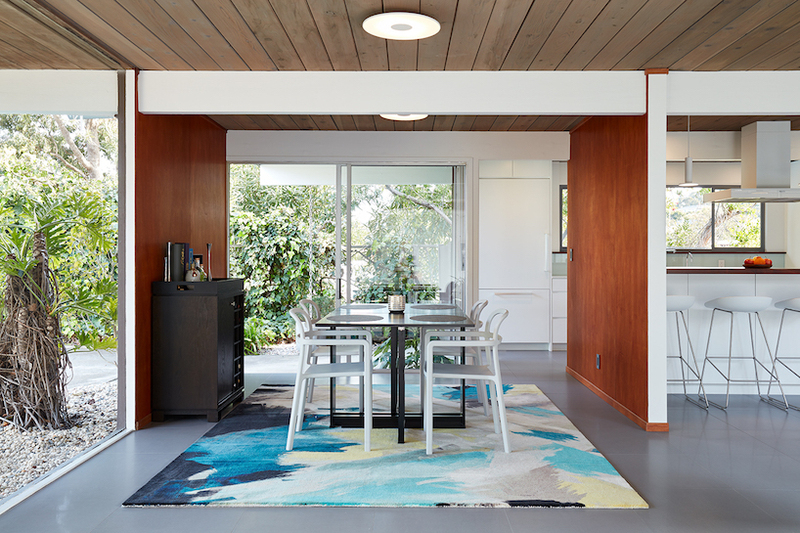 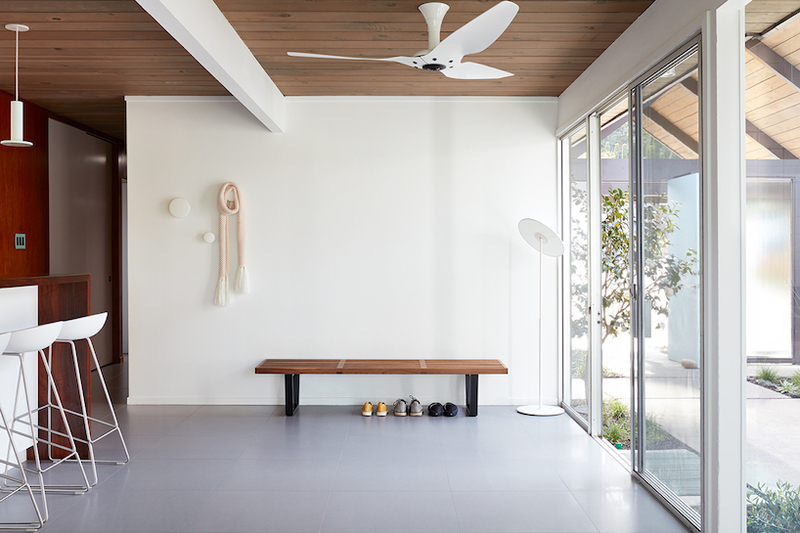 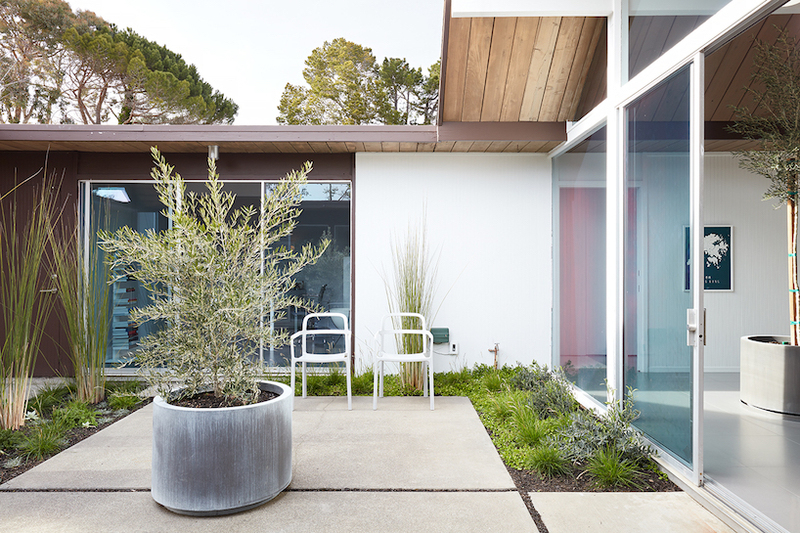 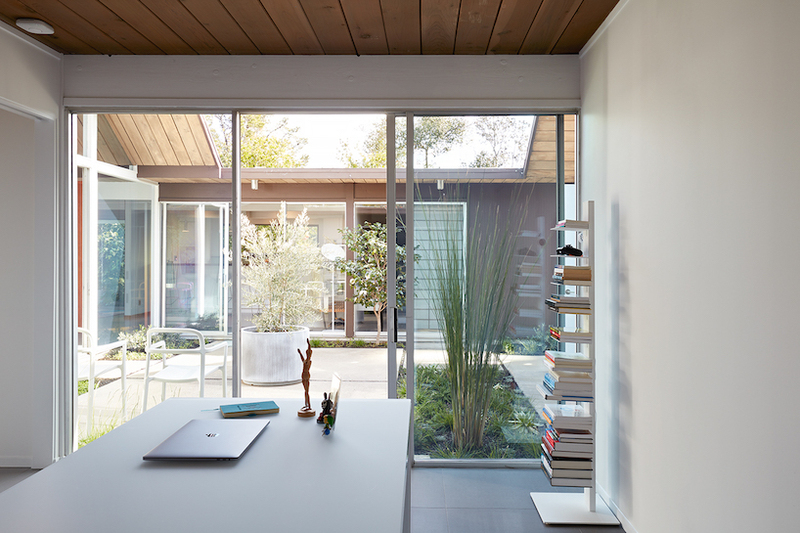 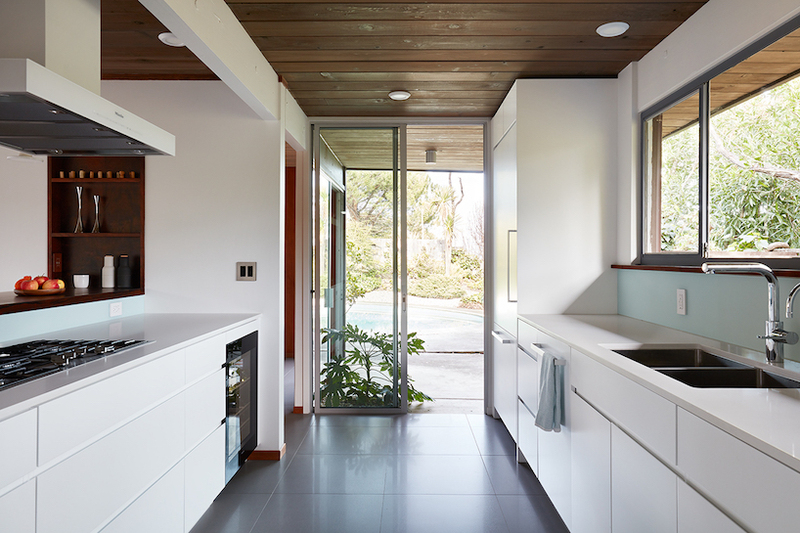 with the goal to preserve the eichler look and feel without the need to strictly adhere to it, the single-family house is transformed into a brighter, more open, and more functional version of its original self. 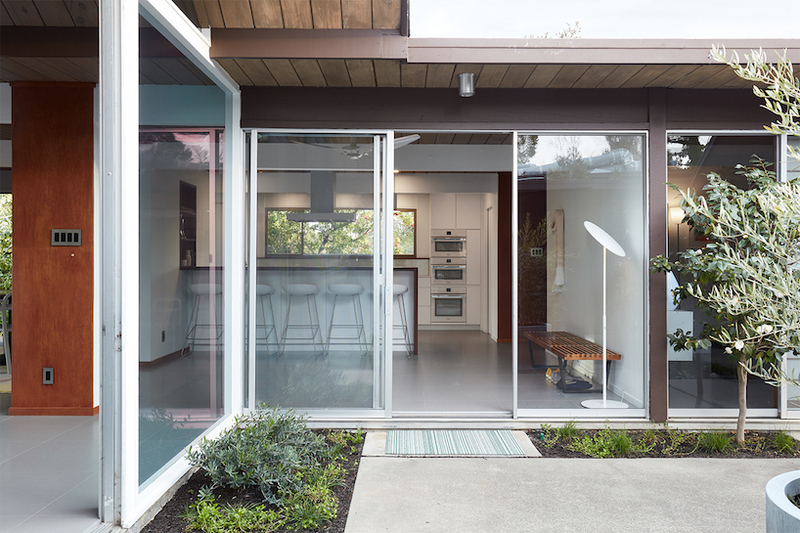 the house is one of the thousands of mid-century modernist homes built by joseph eichler between 1949 and 1966 throughout north and south california. 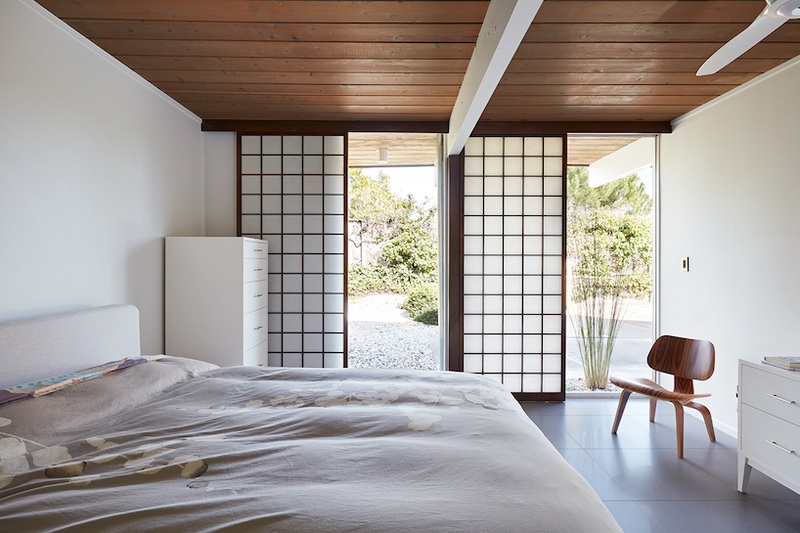 the architects’ work included re-configuring the master bedroom/bath, the kitchen, and the hall bath/laundry area, as well as updating interior finishes throughout to be more sophisticated. 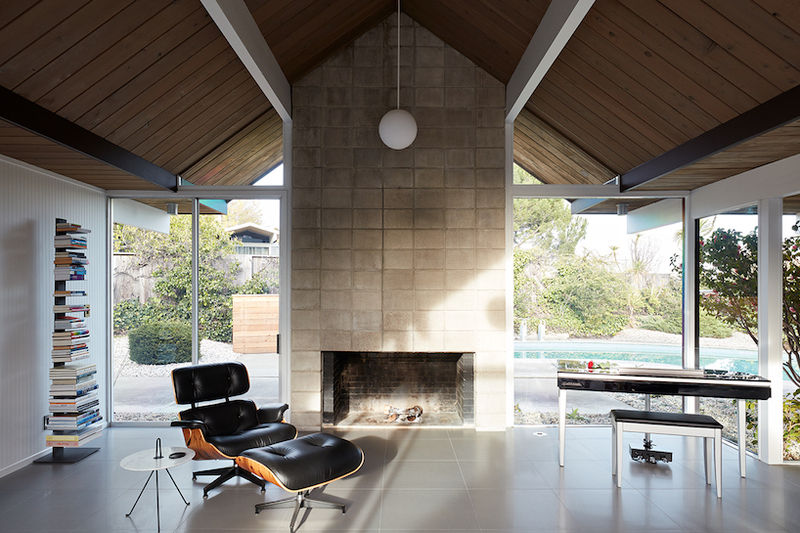 many of the original elements are kept in place such as the concrete masonry fireplace and the luan wall paneling which was lightly sanded, cleaned, and re-stained.